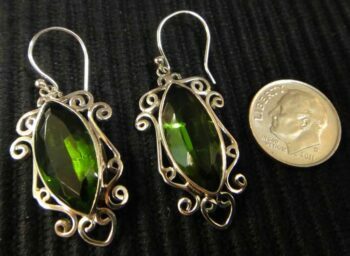 These bright green obsidian and sterling silver handmade earrings feature detailed silverwork. 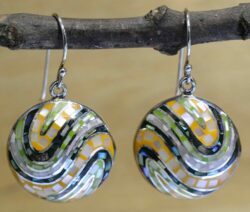 These earrings feature a classic hook like ear wire that slips easily into the ear. 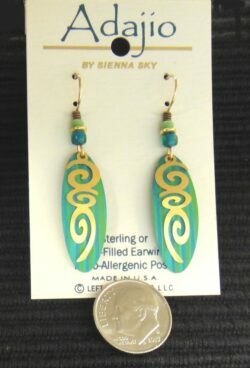 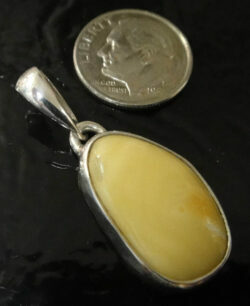 These earrings measure 1.6” long including the ear wire by .75” wide. 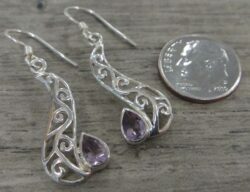 Please note that the dime is not included with the earrings but shown to help you gauge the size of the earrings. 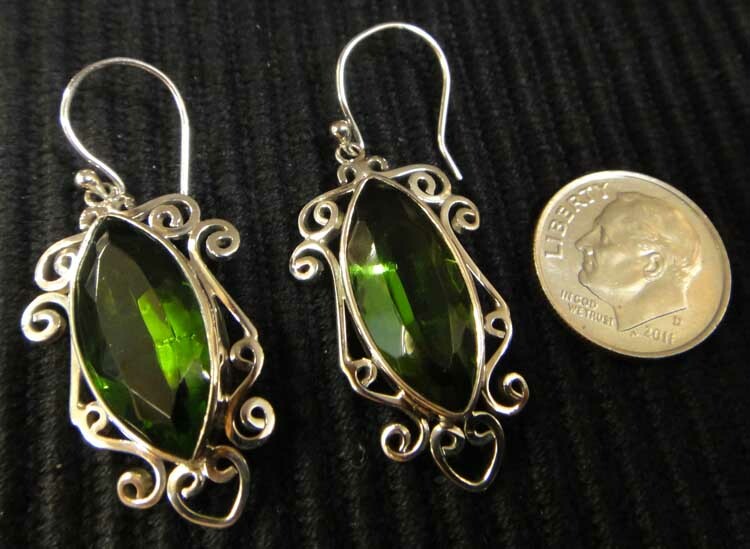 These earrings feature a classic hook like ear wire that slips easily into the ear. 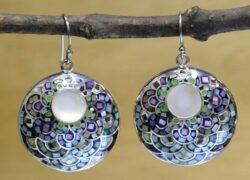 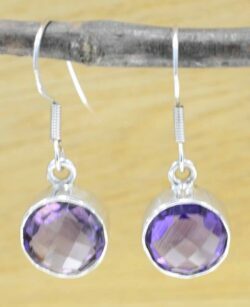 These earrings are stamped on the back “925” so you can rest assured you are getting genuine sterling silver jewelry. 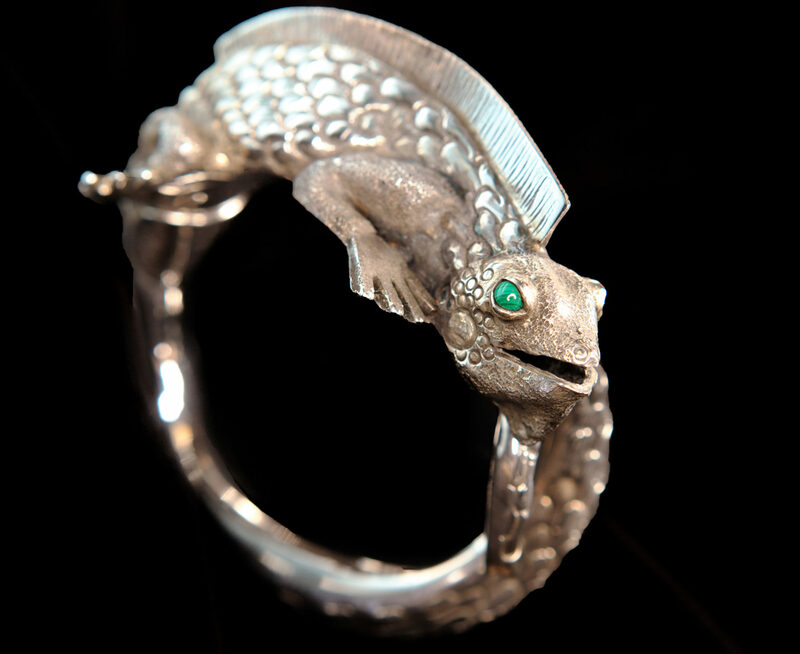 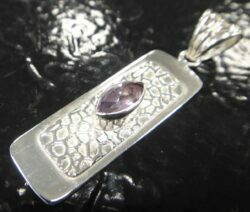 This handmade piece of jewelry is brand new and comes with our original store tags and gift box.